The responsibilities of today’s Texas Rangers have expanded significantly over the last 20 years. New threats posed by organized crime, terrorism and drug cartels have stretched them far beyond their traditional roles of criminal investigation and law enforcement. Gubernatorial Security: Assist the Governor’s Protective Detail in providing security for the Texas Governor during his official travel throughout the state, as well as other dignitaries. The Special Weapons and Tactics Team (SWAT) is a highly trained team, headquartered in Austin, whose primary mission is to respond statewide to critical incidents of a high risk nature. This includes hostage situations, barricaded subjects, active shooter incidents and high risk warrant service. The Bomb Squad is a component of the SWAT Team that responds to situations involving explosive devices and related threats. Bomb technicians train with the US Army at Red Stone Arsenal, Huntsville, Alabama. They undergo rigorous training courses in deactivating explosive devices, assessing bomb threats, disposal of recovered explosives and counter terrorism related situations. They are also trained in the collection of fragmentary evidence and forensic analysis of explosions. The Bomb Squad is accredited by the Federal Bureau of Investigation. The Ranger Reconnaissance Team is a highly trained tactical team carrying out specific missions, focusing on the Texas-Mexico border. The team is capable of operating covertly in remote areas where conventional law enforcement cannot operate. The team focuses on gathering intelligence, conducting interdiction, and disrupting criminal activity associated with drug cartels. 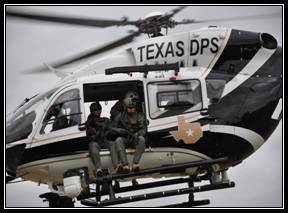 Special Response Teams (SRT) are specialized rapid response teams which operate in each of the DPS Regions. SRT is comprised of members from the Texas Highway Patrol, Criminal Investigations Division and the Texas Rangers. SRT members serve high risk warrants and respond to critical incidents involving barricaded subjects, hostage situations, and active shooter incidents within their respective DPS regions. Crisis Negotiation Teams (CNT) members deploy as a team and evaluate and resolve critical incidents involving emotionally disturbed individuals, hostage situations, and/or barricaded subjects. CNT members are comprised of a cross section of officers from Texas Highway Patrol, Criminal Investigations Division and the Texas Rangers, who respond to incidents within their respective regions. 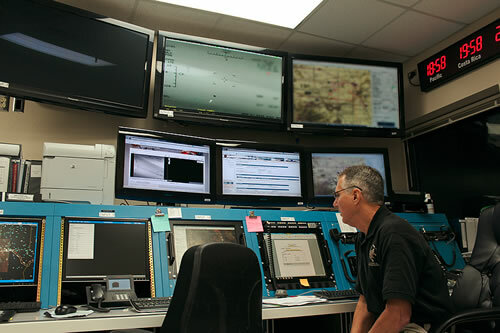 Joint Operations Intelligence Centers (JOIC) and the Border Security Operations Center (BSOC) – Six Joint Operations and Intelligence Centers (JOICs) are distributed along the Texas/Mexico border. These JOICs collect a wide variety of intelligence and real time surveillance information and forward it to the Border Security Operations Center (BSOC) in Austin. The BSOC collects, organizes and analyzes a myriad of information and briefs state, local, and federal law enforcement partners. 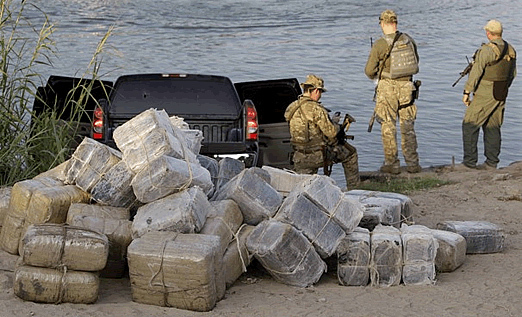 This makes joint operations possible to prevent or intercept illegal cross-border activities such as the shipment of drugs, weapons and cash from illegal activities. Interdiction for the Protection of Children (IPC) Program: This internationally recognized program trains Texas Highway Patrol Troopers and other law enforcement officers to recognize suspicious behavior in children and adults leading to the identification and recovery of abducted and missing children. Officers receiving this training Officers using the program have rescued more than100 missing and endangered children since its founding in 2010. Unsolved Crimes Investigation Program: The Unsolved Crimes Investigation program provides Texas law enforcement agencies with a means of investigating unsolved murders or what appears to be a serial or linked crimes often involving homicides. There is no statute of limitations on the offense of murder, so the state has the moral and statutory obligations to pursue these cases until all leads are exhausted. Public Corruption Unit: The 81st Texas Legislature created a Public Corruption Unit within the Texas Department of Public Safety under the Texas Ranger Division. 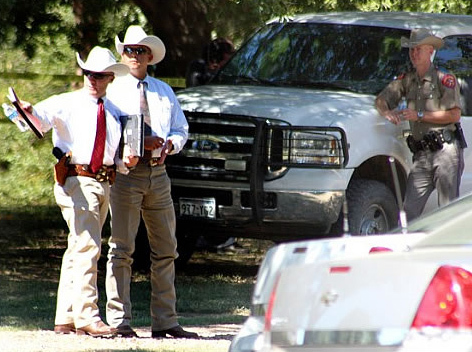 The Texas Rangers are tasked with investigating public corruption among public officials, law enforcement officers, and others holding positions of public trust.